Apparently computer geeks in Mexico aren’t without a sense of humour. Not only did the 4th Annual Kloud Camp conference in Mexico include a comic but the architects and virtualization experts who had been anointed by the conferences as “Kloud Heroes” posed for their conference photos trying to look like menacing sicarios (hit men), sporting dark glasses and snarls. The Mexico City Kloud Camp convention is, according to its organizers, “The most important educational event in Kloud [sic] technologies in Latin America.” The conference, which included breakout sessions in digital government, software-defined networking, virtualization, e-commerce and IPv6, was sponsored by the global IT firms which one would expect to find at such events: SAP, VMware, Dell, and IBM, plus big Mexican firms like Kio Networks. Kio Networks is the number-one cloud and data center hosting provider in Mexico. The company has 32 data centers located in Mexico, the US, Panama, Guatemala, Dominican Republic and Spain. The second firm is Mexican as well. That Mexican firms dominate the cloud market and not international ones says a lot about the Mexican cloud computing landscape. While Rackspace and IBM SoftLayer have both opened offices in Mexico in the past two years, neither of those American cloud giants, nor Amazon, have risen to the top, at least yet. 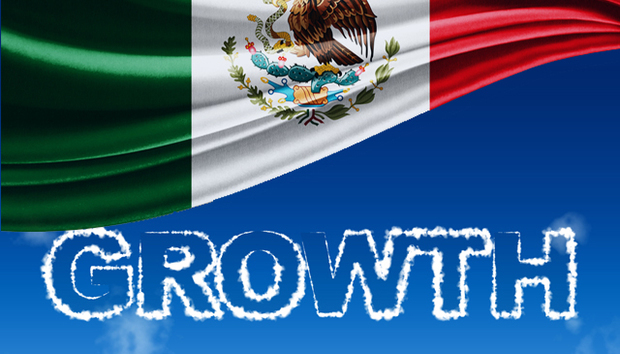 In 2014, IDC said that the market in Mexico for cloud computing will grow at an astounding annual rate of 55% from 2013 through 2018. This number is widely quoted in the Mexican media and is no doubt why global firms are rushing into this market of 122 million people. Among the companies showing up bodily, in addition to IBM SoftLayer, are the $3.4bn is German firm United Internet. Of course a company does not need a sales office in Mexico City nor a data center there to have customers. Cloud customers can, by definition, sign up from anywhere. But being there and pressing the flesh there helps sign up customers, especially in the conservative Latin culture. Rackspace already had one foot in Mexico. Its CEO said it was obvious they should open up an office there as this Texas company had “half of their customers coming from Mexico.” He was speaking figuratively. Regarding the Mexican government, it prefers to keep its most important computing in-house. The Mexican government organization The National Science and Technology Advisory (Conyact), maintains its own IT outsourcing firm, InfoTec, one of whose functions is to provide cloud computing to the government. The number-two company in Mexico, Triara is the cloud computing arm of the telecom business Telmex. That is principally owned by Carlos Slim, who slides in and out of the position of the world’s richest man. Telmex is listed on the New York Stock Exchange (NYSE:TMX) and operates in Colombia and elsewhere under the name Claro whose cloud business name is the alliterative ClaroCloud. Triara has data centers in the Mexican states of Queretaro and Monterey; Bogota, Colombia; and Rio de Janeiro, Brazil. The mammoth $160m Triara data center in Queretaro is the largest in Latin America at 90,000 square feet (8,400 meters). Several press reports referred to it as a “bunker” and a mall web hosting company Prodigy Hosting calls one of its Triara data centers a bunker too. No doubt that name creates some confusion among buyers. Part of the reason for the solid construction is geological: the concrete and steel facility is located in an active seismic area. But it is reinforced against human threats too: the building is ringed with concertina wire and laser motion detectors. Physical security obviously takes on a different definition in Mexico - a country that has effectively ceded control of parts of the country to the cartels - than it does in other countries. There are some obvious targets for cloud and data center companies to look for business in Mexico even if security and political issues can sometimes get in the way. This is a big market that could deliver big money if opened up. Mexico recently opened up its telephone and even television monopolies to competition, thus creating opportunities for IT there as well. The American firm AT&T, for one, just entered the cell phone market in 2015. It says without hesitation that it will be the number two cell phone provider there.